WordPress becomes better with the plugins, as they allow you to fully customize your website to fulfill your needs. However, many functions can also be integrated without using a plugin. A simple snippet does the trick. Collecting all the required snippets can be pretty tedious, though. Thus, today, I’ll open my toolbox and list my favorite WordPress snippets for you. Either copy the snippets into your active theme’s functions.php, or set up a page-specific custom plugin for this job. Remember: Before you apply any changes to the functions.php, create a backup of the file. Don't alter the file using the WordPress editor. If something goes wrong, you won't have access to your website. Make your additions using an FTP access, directly on your web space. The WordPress Tag Cloud is a popular tool for a blog’s sidebar. Your visitors can use it to easily find what they’re looking for. However, WordPress displays the tags in different sizes, which is not always a desired thing. Use this snippet to remove the inline styles. Pingbacks and trackbacks are not generally bad. They tell you if your articles were mentioned or linked on other websites. Sadly, WordPress has the bad habit of informing you about links of your articles on your own website. This snippet lets you turn off these annoying messages. Not everyone is a fan of the colorful emojis. If you don’t want to use emojis in your posts, you can deactivate this feature. Your blog’s performance will thank you. The WordPress version 4.4 brought us the new function oEmbed, which is mainly meant to allow you to integrate foreign articles or pages into your posts with a simple link. If you don’t need this function, or you simply don’t want your articles to be able to be displayed in foreign posts at any time, just deactivate this function. WordPress loads a bunch of things via the wp_head() hook into the header of the WordPress themes. Some of them are very useful, some aren’t. Some just inflate the website unnecessarily. Here’s a small snippet to do some major cleaning up. By default, WordPress doesn’t add post images to the RSS feed. This snippet changes that. You want to upload special file formats to your WordPress media library, and you get an error message? Use this code, and your problem is solved. The code allows you to upload the file formats ZIP, MOBI, PDF, and EPUB. If you happen to need more formats, find the complete list of MIME types here. Sometimes, a very precise excerpt length is needed for a certain template. The following function lets you define this length freely. The good thing is that the excerpt length is not set globally, allowing each template to have its own length. If your theme doesn’t support responsive videos, setting up the support to do so can be done very quickly. A PHP function makes for an automatic embedding in a Div, while the CSS information makes sure there’s an optimal scaling at any resolution. Do you want to replace the “older posts | newer posts” with a cool list of numbers? No problem, as with WordPress version 4.1 you don’t need the popular plugin WP PageNavi anymore. Now, doing this is very easy to do using default means. You can use this function directly within the index.php , and in the archive.php. However, creating a child theme to do so is advantageous. 'mid_size' => 3, //How many buttons will be displayed before the placeholder »...« appears. You are really proud of your WordPress website, and you put lots of effort into the design? Take it a step further, and adjust the logo on the login page. In combination with your own background color, this looks really nice. The code above adds the class .opener to every article’s or page’s first paragraph. Now, a bit of CSS lets you control the paragraph’s formatting, as well as the “place” of action. Since WordPress version 4.5, a user signup via email address and password is possible. In order to annoy hackers, and make WordPress a bit safer, you can sign up via email and password exclusively using this code. The WordPress admin area is the heart and the lungs of your website. Make sure that the distributed passwords are very safe, giving attackers no chance. Users like to change the assigned passwords into very easy to remember, and very easy to hack versions, though. You can prevent that! If you want to make money off your blog, you won’t get around using ads. You could use the popular Google Adsense, for example. This snippet displays your ads after a selected paragraph. // The number in front of the content defines where the code appears. Here, it pops up after the article's second paragraph. The biographic information in your WordPress profile is pretty thin. You don’t have the option to link all of your social networks. With this code, you can add and display all of your social media accounts. Sometimes, being able to display all categories with their respective RSS feed addresses can be handy. It gets even better when you are able to use a WordPress shortcode to display the list anywhere – even in the text widgets. lets you display the list wherever you want to. It also works within widgets. The popular similar posts can easily be displayed without an inflated plugin with “many” functions. You need a PHP snippet, a child theme, and a bit of CSS. After the code has been copied to the functions.php, a tag had to be added in the single.php, or the template that contains the loop of individual posts. In combination with the Google Search Console (formerly Webmaster Tools), the sitemap.xml makes for a fast indexation of your website’s posts. Previously, you had to install a plugin in order to generate a sitemap.xml. With this code, you can forgo the plugin. The following snippet could be very useful for blogs with multiple authors, as it makes post images required in order to be able to publish an article. If you tend to link Twitter accounts in your posts, you’ll love this snippet. When entering @account, it will automatically link the according Twitter account. 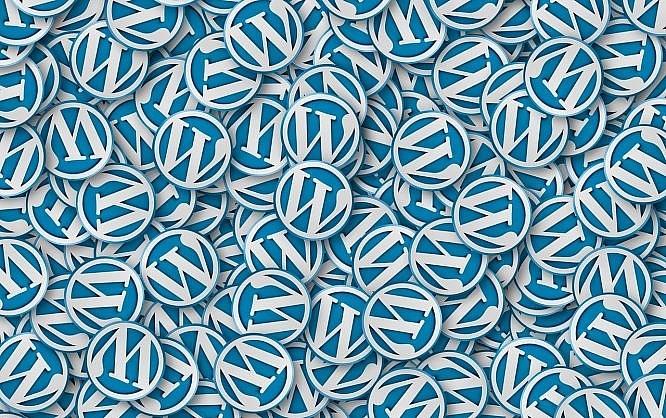 Every URL entered in the comments is automatically turned into a link by WordPress. This can become a problem, as not all of those links are worth being linked on your blog. The following snippet turns the URLs into pure text. You don’t need an overloaded plugin for a breadcrumb navigation. A few lines of code are all it takes. In the theme, the navigation can be integrated using a simple function invocation. The right files to do that would be the header.php, the index.php, or the single.php, depending on the theme. Custom Post Types are an extremely useful tool for the design of an extensive website with many functions. However, they are not automatically included in the categories and tags. If you start a search, this will always leave you with an error. These two snippets integrate your custom post types into the WordPress search function. I hope you discovered some useful snippets for you and your WordPress. If this article ends up being successful, I might follow up with an article on the most useful WooCommerce snippets. Let me know whether that interests you. Andreas Hecht is a journalist and specialist for WordPress and WordPress Security. He roams the web since its inception. He has published an ebook on WordPress Security, which you might want to take a look at.